New York Yankees Aaron Judge Smokes One off of the Baltimore Orioles pitcher. Unfortunately, the Orioles scored 3 runs in the top of the 11th inning to defeat the Yankees 7-4. 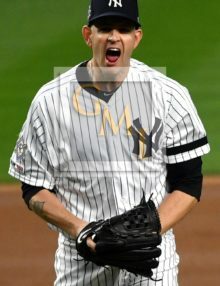 Check out these 8 selected images from today’s Baltimore Orioles vs. New York Yankees game at Yankee Stadium. In the bottom of the 9th inning, with the Yankees trailing 4-2 the umpires called an unusual Balk, allowing the runners to advance to 2nd and 3rd base. 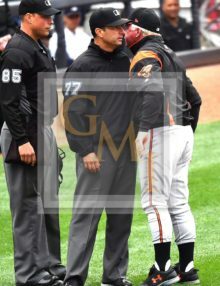 BUCK SHOWALTER, the Orioles manager was furious and stormed the umpires to complain and he was ejected from the game. 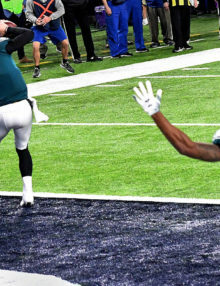 At this point, Yankees shortstop DIDI GREGORIOUS came through with a two-run hit tying the game 4-4. 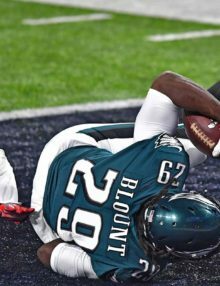 In the top of the 11th inning, Baltimore scored three runs on clutch hits by MARK TRUMBO and WELINGTON CASTILLO going on to win the game 7-4. Nevertheless, the Yankees took 2 out of 3 games from the Orioles and are now tied for first place in the American League East. 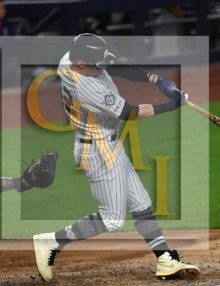 Most observers believe that JOE GIRARDI has done a masterful job leading a very young and inexperienced team. While it is still very early in a long season, the Yankees appear to be realistic contenders for a playoff spot at the end of the season. We shall see. In the meantime, GO RED SOX. Baltimore Orioles manager, BUCK SHOWALTER, vigorously argues a balk call in the bottom ot the ninth inning that helped set up a Didi Gregorius’ tying single.While SHOWALTER was subsequently ejected from the game, the Orioles scored three runs in the top of the 11th inning to defeat the New York Yankees 7-4. 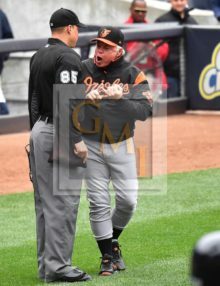 Baltimore Orioles red faced manager, BUCK SHOWALTER, stands nose to nose vigorously arguing a balk call by the umpire that helped set up a Didi Gregorious’s tying single in the bottom of the ninth inning at Yankee Stadium. 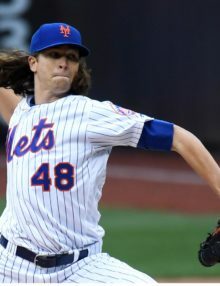 While SHOWALTER was subsequently ejected from the game, the Orioles scored 3 runs in the top of the 11th inning to defeat the New York Yankees 7-4. 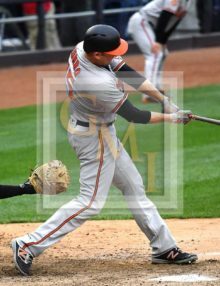 Baltimore Orioles outfielder, MARK TRUMBO, hits a go-ahead single in a 3 run 11th inning off of New York Yankees relief pitcher, Bryan Mitchell, who returned to the mound after an unusual inning at first base. The Baltimore Orioles rebounded from another blown late lead to defeat the New York Yankees 7-4. 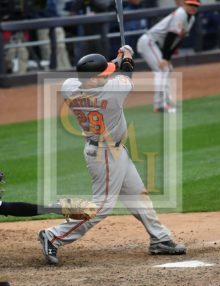 Baltimore Orioles catcher, Welington Castillo, singles off of New York Yankees reliever Bryan Mitchell in the top of the 11th inning giving the Orioles a 6-4 lead and Manny Machado got into rundown and scored when third baseman Chase Headley bobbled the ball giving the Orioles a 7-4 lead. 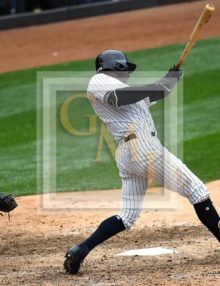 New York Yankees shortstop DIDI GREGORIOUS hits a two-run single off of Orioles relief pitcher Donnie Hart in the bottom of the ninth inning tying the score 4-4. Unfortunately, the Orioles scored 3 runs in the top of the 11th inning to defeat the Yankees 7-4. 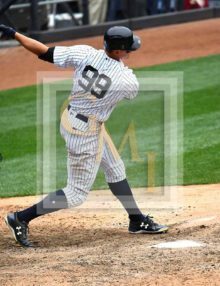 New York Yankees hot-hitting rookie outfielder, Aaron Judge, strikes out in the bottom of the 10th inning with bases loaded against Baltimore Orioles rookie reliever, Logan Verrett. The Yankees went on to lose 7-4. 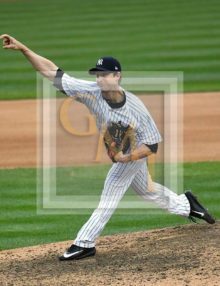 New York Yankees relief pitcher, BRYAN MITCHELL, gives up a two-out go-ahead single to Mark Trumbo in the top of the 11th inning at Yankee Stadium. 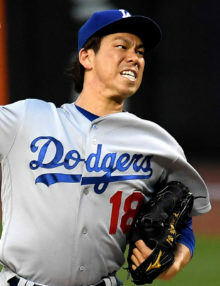 The Orioles went on to win 7-4. 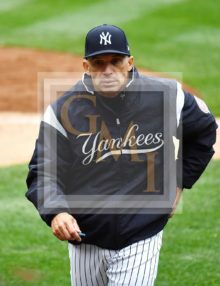 New York Yankees manager, JOE GIRARDI, walks back to the dugout in the bottom of the ninth inning after the New York Yankees rallied to tie the game 4-4 against the Baltimore Orioles. Unfortunately, the Orioles scored 3 runs in the top of the 11th inning and went on to win 7-4. Nevertheless, the Yankees took 2 out of 3 games against the Orioles. Get special announcements and offers. 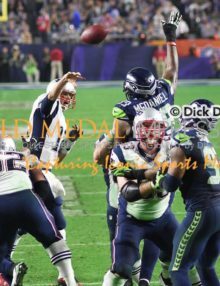 Enter your email address below.